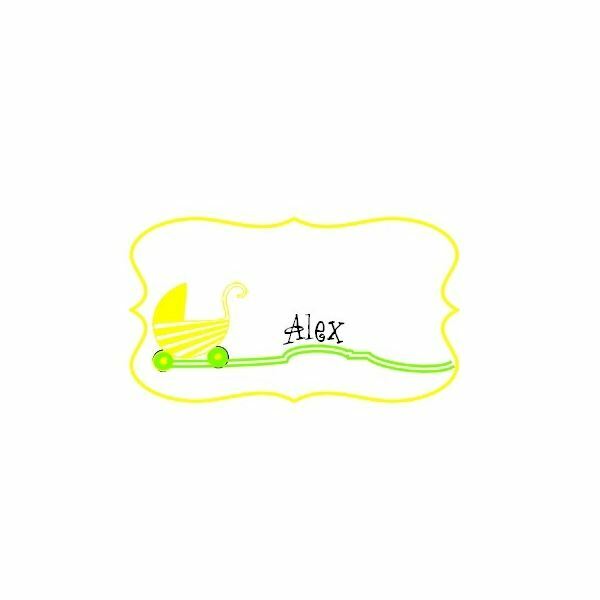 The following templates will allow you to print some unique homemade placecards for baby shower celebrations. You can either add text to them in any software program before you print them out, or else print them out to complete the guests names by hand. Each download has four placecards to a page with well-planned and equal spacing so a couple of cuts and you have four place cards. Then all you need do is fold them in half, for some baby themed placecards that stand up all on their own. Of course, you can also follow some of our design advice throughout this article to create some great looking placecards yourself. All the templates here were made using Serif CraftArtist. There is a free version of this software that is quick and easy to download and use; a download link can be found at the end of this article for your convenience. This was one of the easiest designs to create–using CraftArtist all you need do is to search for some embellishments or frames and then resize them to your needs to create the main part of your placecard as I have done here. 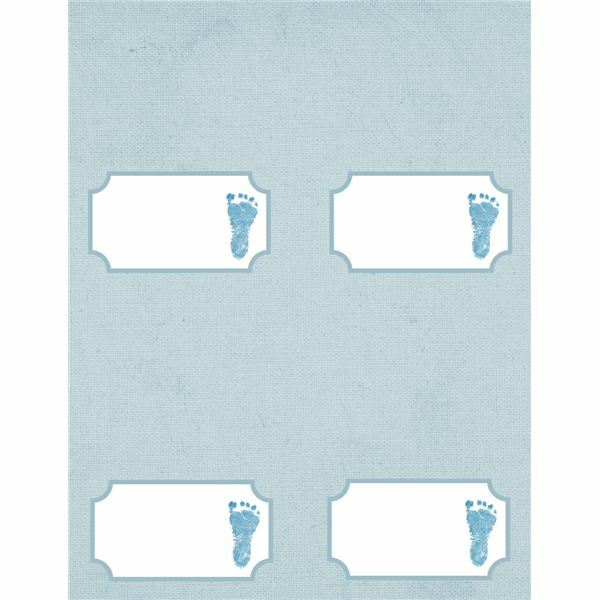 The cute cartoon crawling baby images are truly appealing, and coordinate with the cloud shaped background frame; there is a white box to complete the guests names. While the image here shows how you can fill in the guests names before you print, in a fun baby shower font, the download template will be blank for your use. The download link contains a page with two boy placecards, and two girl placecards. Sometimes the simplest designs can be the best, and there are pink and blue download options for you to use here, according to your needs. The name plaque was created simply using the quick drawing tools in CraftArtist, altering the cornering of a rectangle to soften the look. The footprint embellishment was one of Serif's too, so I didn't need to leave the software program at all to design this baby placecard, but they have some great free downloads on their website if you can't find anything to suit you within the program. Had enough of either blue or pink designs? This bright and fun homemade placecard for a baby shower is just the thing to add a bit of pizazz and style to the occasion – still baby themed, without being too cutesy. The material frame was already in CraftArtist, but I altered the material depth to give it more of a 3D look. 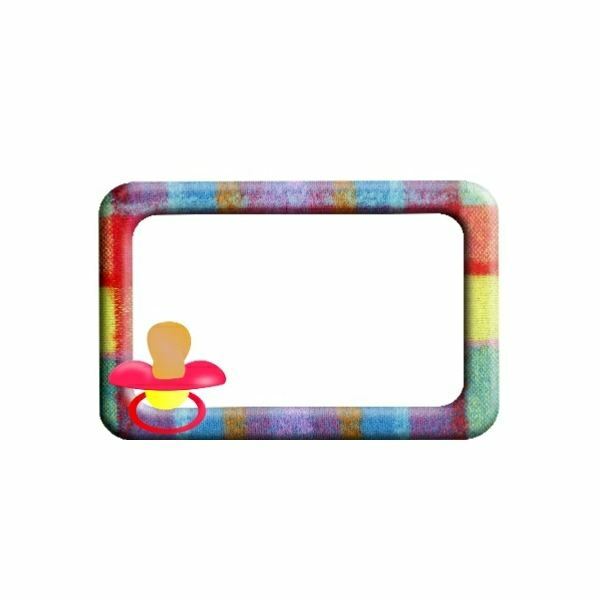 The cartoon pacifier was a free baby Clipart download. This image is a single placecard so you can see the detail more clearly, but the download file will have four placecards to a page. If you want something suitable for a baby shower, but want to stay away from traditional baby images, this is a great option. 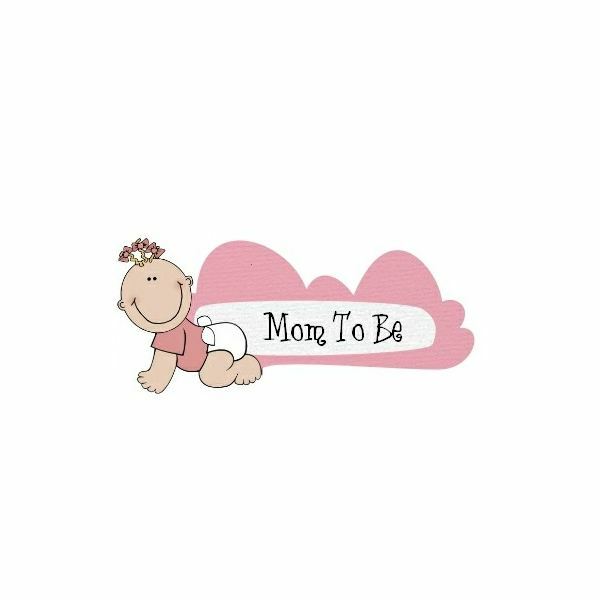 Two pink and two blue placecards for a baby shower can be found in this download file. 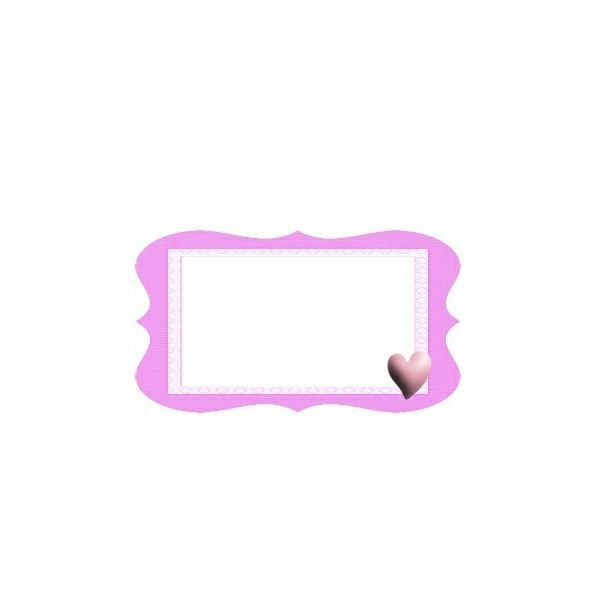 The frame was a ready-made embellishment in CraftArtist that I altered the color of to suit the theme, as were the hearts. I brought the hearts to the front of the placecard and added some material depth to make it a softer image. If this is more your style, then why not consult our article on daisy place cards for an elegant touch, without traditional baby images. The last of our free baby shower placecard designs is another neutral design, with a fun element. The cartoon-like stroller has apparently been wheeled across the page leaving wheel marks in its wake–a perfect line to put your guests name onto. If you want to be really clever, the full version of CraftArtist allows you to add text to follow the path of a line or image you've drawn, so you could make the text follow the wiggly trail marks. I've given a visual example here but the template download will be blank so you can complete guests names yourself. All placecard templates are original creations made by the author using CraftArtist, and are made available for free download for your personal use. If you want to try making your own place cards using CraftArtist, then download a free version here.